Which urbanite do not know about the benefits of a small agile vehicle, that weaves their way with ease through the urban jungle? 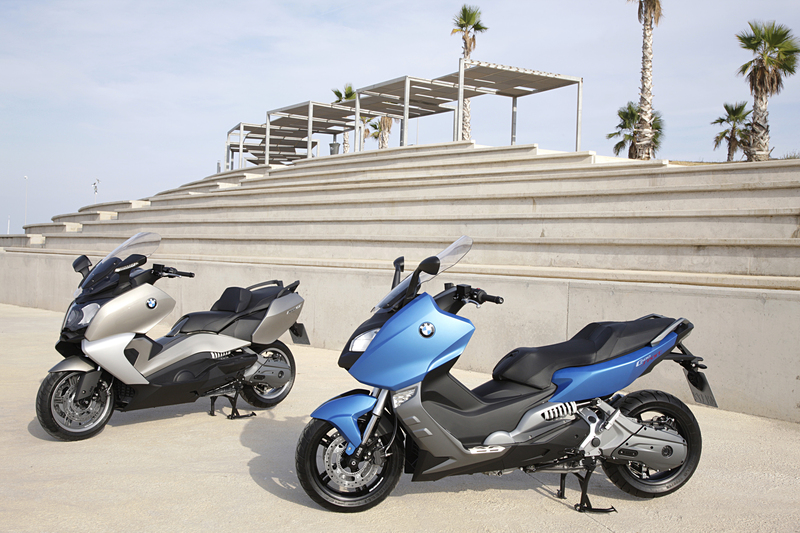 BMW motorcycle was thinking about it, and developed two new scooters that are made ? ?for good mobility in the city. 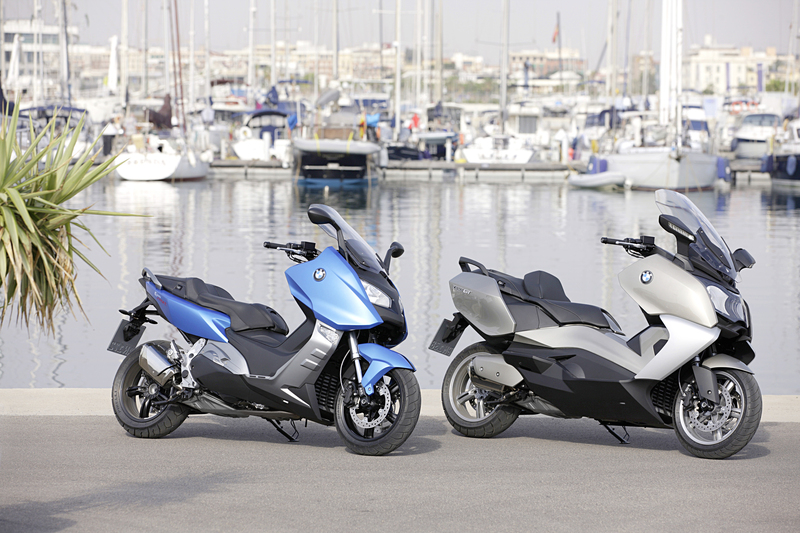 The result was the scoters BMw C 600 Sport and BMW C 650 GT. They are agile and comfortable and yet sporty and dynamic. Both are equipped with a two-cylinder inline engine with a capacity of 647 cc. In terms of output are the scooters in the range of 44 kW (60 hp) at 7500 rpm and the maximum torgue of 66 Nm is available at 6000 rpm. There is a continuous power transmission over an integrated CVT-gearbox (CVT = Continuously Variable Transmission). In order to reduce the gravity of the vehicle was built a 70 degrees inclined cylinder bank. 90° crank pin offset, 270 degrees ignition spacing and two balancer shafts driven by spur gears ensures a great sound and less vibration. The exhaust system made of high grad stainless steel complies with the catalytic converter and the oxygen sensor the Euro-4 emissions limits. In terms of handling leave the two scooters nothing to be desires. BMW place a great value on stability, especially at high speed. This is achieved by a tubular steel bridge frame and a diecast aluminium unit at the swingarm bearing. Also a bearing element is of course the two-cylinder inline engine. The position of the single swingarm with coaxial center of rotation additionally supports the driving stability. An upside down fork with a fork diameter of 40 mm was mounted at the supensions at the front. At the rear comes the scooter up with a reclining spring strut on the left side. Who drives fast on the road, need to brake well. This is possible with the two-rotor disc brake at the front and a single disc brake at the rear with a dimeter of 270 mm. 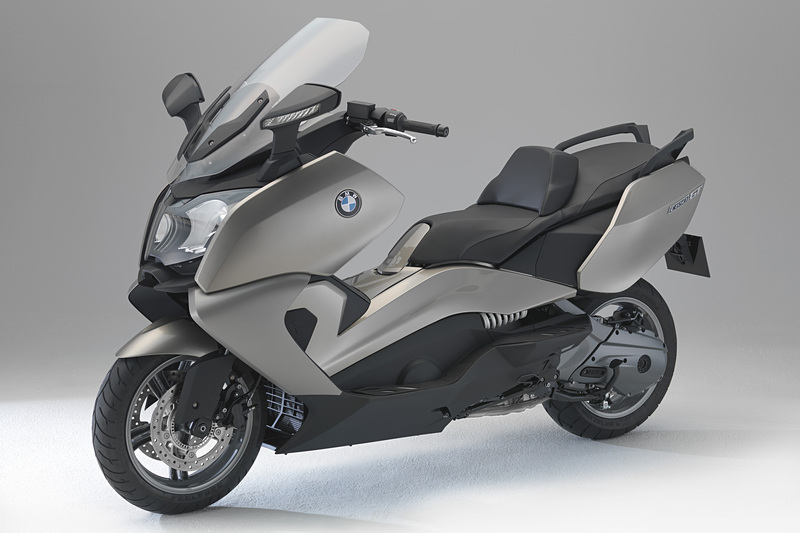 Additionally offers the BMW motorcycle ABS. To see and be seen well BMW offers optional as accessory a LED daytime running light. And also the instrument unit cluster is good visible and legible with the LED display with built-in revolution counter and an analog speedometer. But at the scooters are also differences to appeal different tastes. Who prefer dynamic design and sporty driving be well adviced with the C 600 Sport. More seting and driving comfort promisses the C 650 GT. Also in terms of the windshield differ the two scooters. While the C 600 Sport is equipped with a windshield which can be adjusted manually in three positions, the windscreen of the C 650 GT can be adjusted electronically over ten centimeters and provides more comfort and protection from wind and weather. More fairing for more protection. This is the motto of the C 650 GT. In contrast, the C 600 Sport will appear with the tighter fairing more agile and sporty. At the two model the turn signals are also different. The C 600 Sport has front turn signals integrated into the fairing, twin circular headlights with two left and right position lights, LED taillights and single turn indicators. The C 650 GT has in contrast front turn signals which are integrated in the mirrors, twin circular headlights with side lights between them presenting a vertical light strip of three elements and a LED rear light cluster with integrated turn indicators. Plenty of storage space is given on both models. The 600 Sport scooter comes up with the FlexCase in the rear of the Vehicle under the seat as a praktical luggage solution. Comfort includes at the 650GT scooter also a storage space of 60 liters in the rear of the vehicle. 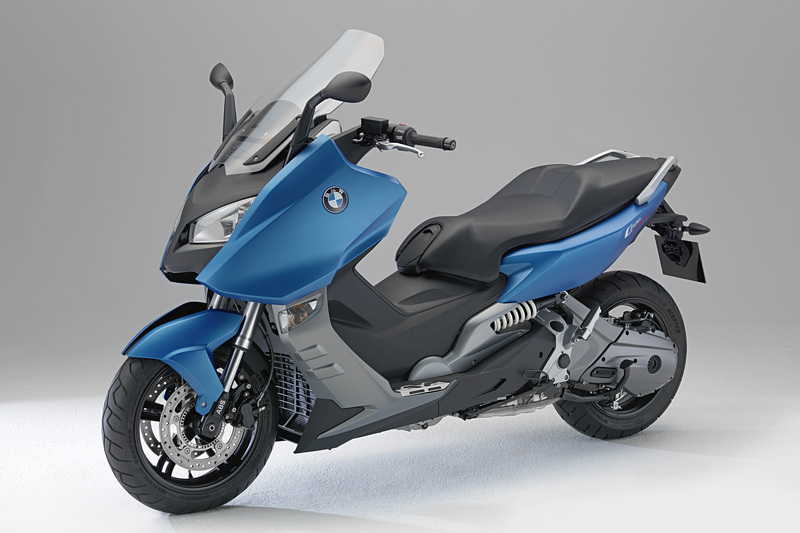 The BMw C 600 Sport is available in Cosmic blue metallic matt, Titanium silver metallic or Sapphire black metallic. At the C 650 GT you can choose between Sapphire black metallic, Platinum bronze metallic or Vermilion red metallic.